This article uses the Hebrew (Masoretic) Psalms numbering. Psalm 119 in Septuagint/Vulgate numbering would correspond to Psalm 120 in Hebrew numbering. Psalm 119 is the 119th psalm of the Book of Psalms, generally known in English by its first verse, in the King James Version, "Blessed are the undefiled in the way, who walk in the law of the Lord." The Book of Psalms is in the third section of the Hebrew Bible, the Khetuvim, and a book of the Christian Old Testament. It is referred to in Hebrew by its opening words, "Ashrei temimei derech" ("happy are those whose way is perfect"). In the Greek Septuagint version of the Bible, and in its Latin translation Vulgate, this psalm is Psalm 118 in a slightly different numbering system. In Latin, it is known as "Beati inmaculati in via qui ambulant in lege Domini." The psalm is a hymn psalm. "Blessed are the undefiled in the way"
With 176 verses, the psalm is the longest psalm as well as the longest chapter in the Bible. It is a prayer of one who delights in and lives by the Torah, the sacred law. Unlike most other psalms the author did not include his name in the text. The psalm is a regular part of Jewish, Catholic, Anglican, and Protestant liturgies. It has been set to music often. 1 אַשְׁרֵ֥י תְמִֽימֵי־דָ֑רֶךְ הַ֜הֹֽלְכִ֗ים בְּתוֹרַ֥ת יְהֹוָֽה Praiseworthy are those whose way is perfect, who walk with the law of the Lord. 2 אַשְׁרֵי נֹֽצְרֵ֥י עֵ֜דֹתָ֗יו בְּכָל־לֵ֥ב יִדְרְשֽׁוּהוּ Praiseworthy are those who keep His testimonies; who seek Him wholeheartedly. 3 אַף לֹא־פָֽעֲל֣וּ עַוְלָ֑ה בִּדְרָכָ֥יו הָלָֽכוּ Not only have they committed no injustice, they walked in His ways. 4 אַתָּה צִוִּ֥יתָה פִ֜קֻּדֶ֗יךָ לִשְׁמֹ֥ר מְאֹֽד You commanded Your precepts, to keep diligently. 5 אַֽחֲלַי יִכֹּ֥נוּ דְּ֜רָכָ֗י לִשְׁמֹ֥ר חֻקֶּֽיךָ My prayers are that my ways should be established, to keep Your statutes. 6 אָ֥ז לֹֽא־אֵב֑וֹשׁ בְּ֜הַבִּיטִ֗י אֶל־כָּל־מִצְו‍ֹתֶֽיךָ Then I shall not be ashamed when I look at all Your commandments. 7 אֽוֹדְךָ בְּיֹ֣שֶׁר לֵבָ֑ב בְּ֜לָמְדִ֗י מִשְׁפְּטֵ֥י צִדְקֶֽךָ I shall thank You with an upright heart when I learn the judgments of Your righteousness. 8 אֶת־חֻקֶּ֥יךָ אֶשְׁמֹ֑ר אַל־תַּעַזְבֵ֥נִי עַד־מְאֹֽד I shall keep Your statutes; do not forsake me utterly. 9 בַּמֶּ֣ה יְזַכֶּה־נַּ֖עַר אֶת־אָרְח֑וֹ לִ֜שְׁמֹ֗ר כִּדְבָרֶֽךָ In what manner should a youth purify his way? To observe according to Your word. 10 בְּכָל־לִבִּ֥י דְרַשְׁתִּ֑יךָ אַל־תַּ֜שְׁגֵּ֗נִי מִמִּצְו‍ֹתֶֽיךָ With all my heart I searched for You; do not cause me to stray from Your commandments. 11 בְּלִבִּי צָפַ֣נְתִּי אִמְרָתֶ֑ךָ לְ֜מַ֗עַן לֹ֣א אֶֽחֱטָא־לָֽךְ In my heart I hid Your word, in order that I should not sin against You. 12 בָּר֖וּךְ אַתָּ֥ה יְהֹוָ֗ה לַמְּדֵ֥נִי חֻקֶּֽיךָ Blessed are You, O Lord; teach me Your statutes. 13 בִּשְׂפָתַ֥י סִפַּ֑רְתִּי כֹּ֜֗ל מִשְׁפְּטֵי־פִֽיךָ With my lips I recited all the judgments of Your mouth. 14 בְּדֶ֖רֶךְ עֵֽדְו‍ֹתֶ֥יךָ שַׂ֗שְׂתִּי כְּעַ֣ל כָּל־הֽוֹן With the way of Your testimonies I rejoiced as over all riches. 15 בְּפִקּוּדֶ֥יךָ אָשִׂ֑יחָה וְ֜אַבִּ֗יטָה אֹֽרְחֹתֶֽיךָ Concerning Your precepts I shall converse, and I shall look at Your ways. 16 בְּחֻקֹּתֶ֥יךָ אֶֽשְׁתַּֽעֲשָׁ֑ע לֹ֖א אֶשְׁכַּ֣ח דְּבָרֶֽךָ With Your statutes I shall occupy myself; I shall not forget Your speech. 17 גְּמֹ֖ל עַל־עַבְדְּךָ֥ אֶֽחְיֶ֗ה וְאֶשְׁמְרָ֥ה דְבָרֶֽךָ Bestow kindness upon Your servant; I shall live and I shall keep Your word. 18 גַּל־עֵינַ֥י וְאַבִּ֑יטָה נִ֜פְלָא֗וֹת מִתּֽוֹרָתֶֽךָ Uncover my eyes and I shall look at hidden things from Your Torah. 19 גֵּ֣ר אָנֹכִ֣י בָאָ֑רֶץ אַל־תַּסְתֵּ֥ר מִ֜מֶּ֗נִּי מִצְו‍ֹתֶֽיךָ I am a stranger in the land; do not hide Your commandments from me. 20 גָּֽרְסָ֣ה נַפְשִׁ֣י לְתַֽאֲבָ֑ה אֶל־מִשְׁפָּטֶ֥יךָ בְכָל־עֵֽת My soul is crushed from longing for Your judgments at all times. 21 גָּעַרְתָּ זֵדִ֣ים אֲרוּרִ֑ים הַ֜שֹּׁגִ֗ים מִמִּצְו‍ֹתֶֽיךָ You shall rebuke cursed willful sinners who stray from Your commandments. 22 גַּ֣ל מֵ֖עָלַי חֶרְפָּ֣ה וָב֑וּז כִּ֖י עֵֽדֹתֶ֣יךָ נָצָֽרְתִּי Remove from me disgrace and contempt, for I kept Your testimonies. 23 גַּ֚ם יָֽשְׁב֣וּ שָׂ֖רִים בִּ֣י נִדְבָּ֑רוּ עַ֜בְדְּךָ֗ יָשִׂ֥יחַ בְּחֻקֶּֽיךָ Although princes sat and talked about me, Your servant conversed about Your statutes. 24 גַּם־עֵ֖דֹתֶיךָ שַֽׁעֲשֻׁעַ֗י אַנְשֵׁ֥י עֲצָתִֽי Also, Your testimonies are my affairs, men of my counsel. 25 דָּֽבְקָ֣ה לֶֽעָפָ֣ר נַפְשִׁ֑י חַ֜יֵּ֗נִי כִּדְבָרֶֽךָ My soul clung to the dust; revive me according to Your word. 26 דְּרָכַ֣י סִ֖פַּרְתִּי וַֽ֜תַּֽעֲנֵ֗נִי לַמְּדֵ֥נִי חֻקֶּֽיךָ I told of my ways, and You answered me; teach me Your statutes. 27 דֶּֽרֶךְ־פִּקּוּדֶ֥יךָ הֲבִינֵ֑נִי וְ֜אָשִׂ֗יחָה בְּנִפְלְאוֹתֶֽיךָ Make me understand Your precepts, and I shall speak of Your wonders. 28 דָּֽלְפָ֣ה נַ֖פְשִׁי מִתּוּגָ֑ה קַ֜יְּמֵ֗נִי כִּדְבָרֶֽךָ My soul drips from grief; sustain me according to Your word. 29 דֶּ֣רֶךְ שֶׁ֖קֶר הָסֵ֣ר מִמֶּ֑נִּי וְתוֹרָֽתְךָ֥ חָנֵּֽנִי Remove from me the way of falsehood, and favor me with Your Torah. 30 דֶּֽרֶךְ־אֱמוּנָ֥ה בָחָ֑רְתִּי מִשְׁפָּטֶ֥יךָ שִׁוִּֽיתִי I chose the way of faith; Your judgments I have set [before me]. 31 דָּבַ֥קְתִּי בְעֵֽדְו‍ֹתֶ֑יךָ יְ֜הֹוָ֗ה אַל־תְּבִישֵֽׁנִי I clung to Your testimonies; O Lord; put me not to shame. 32 דֶּֽרֶךְ־מִצְו‍ֹתֶ֥יךָ אָר֑וּץ כִּ֖י תַרְחִ֣יב לִבִּֽי [In] the way of Your commandments I shall run, for You will broaden my understanding. 33 הוֹרֵ֣נִי יְ֖הֹוָה דֶּ֥רֶךְ חֻקֶּ֗יךָ וְאֶצְּרֶ֥נָּה עֵֽקֶב Instruct me, O Lord, [in] the way of Your statutes, and I shall keep it at every step. 34 הֲבִינֵנִי וְאֶצְּרָ֥ה תֽ֜וֹרָתֶ֗ךָ וְאֶשְׁמְרֶ֥נָּה בְכָל־לֵֽב Enable me to understand and I shall keep Your Torah, and I shall keep it wholeheartedly. 35 הַדְרִיכֵנִי בִּנְתִ֣יב מִצְו‍ֹתֶ֑יךָ כִּ֖י ב֥וֹ חָפָֽצְתִּי Lead me in the path of Your commandments for I desired it. 36 הַט־ לִ֖בִּי אֶל־עֵֽדְו‍ֹתֶ֗יךָ וְאַ֣ל אֶל־בָּֽצַע Extend my heart to Your testimonies and not to monetary gain. 37 הַֽעֲבֵ֣ר עֵינַי מֵֽרְא֣וֹת שָׁ֑וְא בִּדְרָכֶ֥ךָ חַיֵּֽנִי Turn away my eyes from seeing vanity; with Your ways sustain me. 38 הָקֵ֣ם לְ֖עַבְדְּךָ אִמְרָתֶ֑ךָ אֲ֜שֶׁ֗ר לְיִרְאָתֶֽךָ Fulfill for Your servant Your word that is for Your fear. 39 הַֽעֲבֵ֣ר חֶרְפָּתִי אֲשֶׁ֣ר יָגֹ֑רְתִּי כִּ֖י מִשְׁפָּטֶ֣יךָ טוֹבִֽים Remove my disgrace, which I feared, for Your judgments are good. 40 הִנֵּה תָּאַ֣בְתִּי לְפִקֻּדֶ֑יךָ בְּצִדְקָֽתְךָ֥ חַיֵּֽנִי Behold, I longed for Your precepts; with Your righteousness sustain me. 41 וִֽיבֹאֻ֣נִי חֲסָדֶ֣ךָ יְהֹוָ֑ה תְּ֜שׁוּעָֽתְךָ֗ כְּאִמְרָתֶֽךָ And may Your acts of kindness befall me, O Lord, Your salvation according to Your word. 42 וְאֶֽעֱנֶ֣ה חֹֽרְפִ֣י דָבָ֑ר כִּֽי־בָ֜טַחְתִּי בִּדְבָרֶֽךָ And I shall answer a word to those who disgrace me, for I trusted in Your word. 43 וְֽאַל־תַּצֵּ֬ל מִפִּ֣י דְבַר־אֱמֶ֣ת עַד־מְאֹ֑ד כִּ֖י לְמִשְׁפָּטֶ֣ךָ יִחָֽלְתִּי And do not take out utterly from my mouth a word of truth, because I hoped for Your words. 44 וְאֶשְׁמְרָ֖ה תוֹרָֽתְךָ֥ תָמִ֗יד לְע֘וֹלָ֥ם וָעֶֽד And I shall keep Your Torah constantly, forever and ever. 45 וְאֶתְהַלְּכָ֥ה בָֽרְחָבָ֑ה כִּ֖י פִקֻּדֶ֣יךָ דָרָֽשְׁתִּי And I shall walk in widely accepted ways, for I sought Your precepts. 46 וַֽאֲדַבְּרָ֣ה בְעֵֽדֹתֶיךָ נֶ֥גֶד מְלָכִ֗ים וְלֹ֣א אֵבֽוֹשׁ And I shall speak of Your testimonies in the presence of kings, and I shall not be ashamed. 47 וְאֶשְׁתַּֽעֲשַׁ֥ע בְּ֜מִצְו‍ֹתֶ֗יךָ אֲשֶׁ֣ר אָהָֽבְתִּי And I shall engage in Your commandments, which I love. 48 וְאֶשָּׂ֚א כַפַּ֗י אֶל־מִ֖צְו‍ֹתֶיךָ אֲשֶׁ֥ר אָהָ֗בְתִּי וְאָשִׂ֥יחָה בְחֻקֶּֽיךָ And I shall lift up my palms to Your commandments, which I love, and I shall converse about Your statutes. 49 זְכָר־דָּבָ֥ר לְעַבְדֶּ֑ךָ עַ֜֗ל אֲשֶׁ֣ר יִֽחַלְתָּֽנִי Remember a word to Your servant, through which You gave me hope. 50 זֹ֣את נֶחָֽמָתִ֣י בְעָנְיִ֑י כִּ֖י אִמְרָֽתְךָ֣ חִיָּֽתְנִי This is my consolation in my affliction, for Your word has sustained me. 51 זֵדִים הֱלִיצֻ֣נִי עַד־מְאֹ֑ד מִ֜תּוֹרָֽתְךָ֗ לֹ֣א נָטִֽיתִי Willful sinners derided me greatly; I did not turn away from Your Torah. 52 זָ֘כַ֚רְתִּי מִשְׁפָּטֶ֖יךָ מֵֽעוֹלָ֥ם | יְהֹוָ֗ה וָֽאֶתְנֶחָֽם I remembered Your judgments of old, O Lord, and I was consoled. 53 זַלְעָפָ֣ה אֲחָזַתְנִי מֵֽרְשָׁעִ֑ים עֹֽ֜זְבֵ֗י תּֽוֹרָתֶֽךָ Quaking gripped me because of the wicked men who abandoned Your Torah. 54 זְמִרוֹת הָֽיוּ־לִ֥י חֻקֶּ֗יךָ בְּבֵ֣ית מְגוּרָֽי Your statutes were to me as songs in the house of my sojournings. 55 זָ֘כַ֚רְתִּי בַלַּ֣יְלָה שִׁמְךָ֣ יְהֹוָ֑ה וָֽ֜אֶשְׁמְרָ֗ה תּֽוֹרָתֶֽךָ At night I remembered Your name, O Lord, and I kept Your Torah. 56 זֹ֥את הָֽיְתָה־לִּ֑י כִּ֖י פִקֻּדֶ֣יךָ נָצָֽרְתִּי This came to me because I kept Your precepts. 57 חֶלְקִ֖י יְהֹוָ֑ה אָמַ֗רְתִּי לִשְׁמֹ֥ר דְּבָרֶֽיךָ "The Lord is my portion," I said, to keep Your words. 58 חִלִּ֣יתִי פָנֶ֣יךָ בְכָל־לֵ֑ב חָ֜נֵּ֗נִי כְּאִמְרָתֶֽךָ I entreated You with all my heart; favor me according to Your word. 59 חִשַּׁ֥בְתִּי דְרָכָ֑י וָֽאָשִׁ֥יבָה רַ֜גְלַ֗י אֶל־עֵֽדֹתֶֽיךָ I considered my ways, and I returned my feet to Your testimonies. 60 חַשְׁתִּי וְלֹ֣א הִתְמַהְמָ֑הְתִּי לִ֜שְׁמֹ֗ר מִצְו‍ֹתֶֽיךָ I hastened and did not delay to keep Your commandments. 61 חֶבְלֵ֣י רְשָׁעִ֣ים עִוְּדֻ֑נִי תּ֜וֹרָֽתְךָ֗ לֹ֣א שָׁכָֽחְתִּי Bands of wicked men robbed me; I did not forget Your Torah. 62 חֲצ֥וֹת לַ֗יְלָה אָ֖קוּם לְהוֹד֣וֹת לָ֑ךְ עַ֜֗ל מִשְׁפְּטֵ֥י צִדְקֶֽךָ At midnight, I rise to give thanks to You for Your just judgments. 63 חָבֵ֣ר אָ֖נִי לְכָל־אֲשֶׁ֣ר יְרֵא֑וּךָ וּ֜לְשֹֽׁמְרֵ֗י פִּקּוּדֶֽיךָ I am a companion to all who fear You and to those who keep Your precepts. 64 חַסְדְּךָ֣ יְ֖הֹוָה מָֽלְאָ֣ה הָאָ֑֗רֶץ חֻקֶּ֥יךָ לַמְּדֵֽנִי O Lord, the earth is full of Your kindness; teach me Your statutes. 65 טוֹב עָשִׂ֣יתָ עִם־עַבְדְּךָ֑ יְ֜הֹוָ֗ה כִּדְבָרֶֽךָ You have done good with Your servant, O Lord, according to Your word. 66 ט֚וּב טַ֣עַם וָדַ֣עַת לַמְּדֵ֑נִי כִּ֖י בְמִצְו‍ֹתֶ֣יךָ הֶֽאֱמָֽנְתִּי The best of reason and knowledge, teach me for I believe in Your commandments. 67 טֶ֣רֶם אֶ֖עֱנֶה אֲנִ֣י שֹׁגֵ֑ג וְ֜עַתָּ֗ה אִמְרָֽתְךָ֥ שָׁמָֽרְתִּי Before I recited, I erred, but now I keep Your word. 68 טוֹב אַתָּ֥ה וּמֵטִ֗יב לַמְּדֵ֥נִי חֻקֶּֽיךָ You are good and You do good; teach me Your statutes. 69 טָֽפְל֚וּ עָלַ֣י שֶׁ֣קֶר זֵדִ֑ים אֲ֜נִ֗י בְּכָל־לֵ֚ב | אֶצֹּ֬ר פִּקּוּדֶֽיךָ Willful sinners have heaped false accusations upon me, but I keep your precepts wholeheartedly. 70 טָפַ֣שׁ כַּחֵ֣לֶב לִבָּ֑ם אֲ֜נִ֗י תּוֹרָֽתְךָ֥ שִֽׁעֲשָֽׁעְתִּי Thick like fat is their heart, but I engage in Your Torah. 71 טֽוֹב־לִ֥י כִֽי־עֻנֵּ֑יתִי לְ֜מַ֗עַן אֶלְמַ֥ד חֻקֶּֽיךָ It is good for me that I was afflicted, in order that I learn Your statutes. 72 ט֣וֹב לִ֖י תּ֣וֹרַת פִּ֑יךָ מֵֽאַלְפֵ֖י זָהָ֣ב וָכָֽסֶף The instruction of Your mouth is better for me than thousands of gold and silver. 73 יָדֶ֣יךָ עָ֖שׂוּנִי וַיְכֽוֹנְנ֑וּנִי הֲ֜בִינֵ֗נִי וְאֶלְמְדָ֥ה מִצְו‍ֹתֶֽיךָ Your hands made me and fashioned me; enable me to understand, and I shall learn Your commandments. 74 יְרֵאֶיךָ יִרְא֣וּנִי וְיִשְׂמָ֑חוּ כִּ֖י לִדְבָֽרְךָ֣ יִחָֽלְתִּי Those who fear You will see me and rejoice for I hoped for Your word. 75 יָדַ֣עְתִּי יְ֖הֹוָה כִּי־צֶ֣דֶק מִשְׁפָּטֶ֑יךָ וֶֽ֜אֱמוּנָ֗ה עִנִּיתָֽנִי I know, O Lord, that Your judgments are just, and in faith You afflicted me. 76 יְהִי־נָ֣א חַסְדְּךָ֣ לְנַֽחֲמֵ֑נִי כְּאִמְרָֽתְךָ֥ לְעַבְדֶּֽךָ May Your kindness be [upon me] now to comfort me, as Your word to Your servant. 77 יְבֹא֣וּנִי רַֽחֲמֶ֣יךָ וְאֶֽחְיֶ֑ה כִּ֖י ת֜וֹרָֽתְךָ֗ שַֽׁעֲשֻׁעָֽי May Your mercy come upon me so that I shall live, for Your Torah is my occupation. 78 יֵבֹ֣שׁוּ זֵ֖דִים כִּי־שֶׁ֣קֶר עִוְּת֑וּנִי אֲ֜נִ֗י אָשִׂ֥יחַ בְּפִקּוּדֶֽיךָ May the willful sinners be shamed for they condemned me falsely; I shall converse about Your precepts. 79 יָשֽׁוּבוּ־לִ֥י יְרֵאֶ֑יךָ וְ֜יֹֽדְעֵ֗י (כתיב וְ֜יֹֽדְעֵ֗ו) עֵֽדֹתֶֽיךָ May those who fear You and those who know Your testimonies return to me. 80 יְהִי־לִבִּ֣י תָמִ֣ים בְּחֻקֶּ֑יךָ לְ֜מַ֗עַן לֹ֣א אֵבֽוֹשׁ May my heart be perfect in Your statutes in order that I not be shamed. 81 כָּֽלְתָ֣ה לִתְשׁוּעָֽתְךָ֣ נַפְשִׁ֑י לִדְבָֽרְךָ֥ יִחָֽלְתִּי My soul pines for Your salvation; for Your word I hope. 82 כָּל֣וּ עֵ֖ינַי לְאִמְרָתֶ֑ךָ לֵ֜אמֹ֗ר מָתַ֥י תְּֽנַֽחֲמֵֽנִי My eyes pine for Your word, saying, "When will You console me?" 83 כִּֽי־הָ֖יִיתִי כְּנֹ֣אד בְּקִיט֑וֹר חֻ֜קֶּ֗יךָ לֹ֣א שָׁכָֽחְתִּי For I have become like a wineskin in smoke; I have not forgotten Your statutes. 84 כַּמָּה יְמֵ֣י עַבְדֶּ֑ךָ מָתַ֬י תַּֽעֲשֶׂ֖ה בְרֹֽדְפַ֣י מִשְׁפָּֽט How many are Your servant's days? When will You execute judgments upon my pursuers? 85 כָּֽרוּ־לִ֣י זֵדִ֣ים שִׁיח֑וֹת אֲ֜שֶׁ֗ר לֹ֣א כְתֽוֹרָתֶֽךָ Willful sinners have dug pits for me, which is not according to Your Torah. 86 כָּל־מִצְו‍ֹתֶ֥יךָ אֱמוּנָ֑ה שֶׁ֖קֶר רְדָפ֣וּנִי עָזְרֵֽנִי All Your commandments are faithful; they pursued me in vain; help me. 87 כִּמְעַט כִּלּ֣וּנִי בָאָ֑רֶץ וַֽ֜אֲנִ֗י לֹֽא־עָזַ֥בְתִּי פִקֻּדֶֽיךָ They almost destroyed me on earth, but I did not forsake Your precepts. 88 כְּחַסְדְּךָ֥ חַיֵּ֑נִי וְ֜אֶשְׁמְרָ֗ה עֵד֥וּת פִּֽיךָ According to Your kindness, sustain me, and I shall keep the testimony of Your mouth. 89 לְעוֹלָ֥ם יְהֹוָ֑ה דְּ֜בָֽרְךָ֗ נִצָּ֥ב בַּשָּׁמָֽיִם Forever, O Lord, Your word stands in the heavens. 90 לְדֹ֣ר וָ֖דֹר אֱמֽוּנָתֶ֑ךָ כּוֹנַ֥נְתָּ אֶ֜֗רֶץ וַֽתַּֽעֲמֹֽד Your faith is to every generation; You established the earth and it endures. 91 לְמִשְׁפָּטֶיךָ עָֽמְד֣וּ הַיּ֑וֹם כִּ֖י הַכֹּ֣ל עֲבָדֶֽיךָ For Your judgments they stand today, for all are Your servants. 92 לוּלֵ֣י תוֹרָֽתְךָ֣ שַֽׁעֲשֻׁעָ֑י אָ֖ז אָבַ֣דְתִּי בְעָנְיִֽי Were not Your Torah my occupation, then I would have perished in my affliction. 93 לְעוֹלָם לֹא־אֶשְׁכַּ֣ח פִּקּוּדֶ֑יךָ כִּי־בָ֜֗ם חִיִּיתָֽנִי I shall never forget Your precepts for through them You have sustained me. 94 לְֽךָ־אֲ֖נִי הוֹשִׁיעֵ֑נִי כִּ֖י פִקּוּדֶ֣יךָ דָרָֽשְׁתִּי I am Yours; save me for I sought Your precepts. 95 לִ֚י קִוּ֣וּ רְשָׁעִ֣ים לְאַבְּדֵ֑נִי עֵֽ֜דֹתֶ֗יךָ אֶתְבּוֹנָֽן Concerning me: the wicked hoped to destroy me; I shall ponder Your testimonies. 96 לְכָל תִּ֖כְלָה רָאִ֣יתִי קֵ֑ץ רְחָבָ֖ה מִצְוָֽתְךָ֣ מְאֹֽד Of every finite thing I have seen the end; Your commandments are very broad. 97 מָֽה־אָהַ֥בְתִּי תֽוֹרָתֶ֑ךָ כָּל־הַ֜יּ֗וֹם הִ֣יא שִֽׂיחָתִֽי How I love Your Torah! All day it is my conversation. 98 מֵאֹֽיְבַי תְּחַכְּמֵ֣נִי מִצְו‍ֹתֶ֑ךָ כִּ֖י לְעוֹלָ֣ם הִיא־לִֽי Each of Your commandments makes me wiser than my enemies, for it is always mine. 99 מִכָּל־מְלַמְּדַ֥י הִשְׂכַּ֑לְתִּי כִּ֥י עֵֽ֜דְו‍ֹתֶ֗יךָ שִׂ֣יחָה לִֽי From all my teachers I gained understanding, for Your testimonies are my conversation. 100 מִזְּקֵנִ֥ים אֶתְבּוֹנָ֑ן כִּ֖י פִקּוּדֶ֣יךָ נָצָֽרְתִּי From the wise elders I gain understanding, for I kept Your precepts. 101 מִכָּל־אֹ֣רַח רָ֖ע כָּלִ֣אתִי רַגְלָ֑י לְ֜מַ֗עַן אֶשְׁמֹ֥ר דְּבָרֶֽךָ From every evil way I restrained my feet in order that I keep Your word. 102 מִמִּשְׁפָּטֶ֥יךָ לֹֽא־סָ֑רְתִּי כִּ֥י אַ֜תָּ֗ה הֽוֹרֵתָֽנִי From Your judgments I did not turn away, for You guided me. 103 מַה־נִּמְלְצ֣וּ לְ֖חִכִּי אִמְרָתֶ֑ךָ מִדְּבַ֥שׁ לְפִֽי How sweet are Your words to my palate, more than honey to my mouth! 104 מִפִּקּוּדֶ֥יךָ אֶתְבּוֹנָ֑ן עַל־כֵּ֗ן שָׂנֵ֚אתִי | כָּל־אֹ֬רַח שָֽׁקֶר From Your precepts I shall gain understanding; therefore, I hate all ways of falsehood. 105 נֵר־לְרַגְלִ֥י דְבָרֶ֑ךָ וְ֜א֗וֹר לִנְתִֽיבָתִֽי Your words are a lamp for my foot, and light for my path. 106 נִשְׁבַּ֥עְתִּי וָֽאֲקַיֵּ֑מָה לִ֜שְׁמֹ֗ר מִשְׁפְּטֵ֥י צִדְקֶֽךָ I swore and I fulfilled, to keep the judgments of Your righteousness. 107 נַֽעֲנֵ֥יתִי עַד־מְאֹ֑ד יְ֜הֹוָ֗ה חַיֵּ֥נִי כִדְבָרֶֽךָ I have been exceedingly humbled; O Lord, sustain me according to Your word. 108 נִדְב֣וֹת פִּ֖י רְצֵה־נָ֣א יְהֹוָ֑ה וּמִשְׁפָּטֶ֥יךָ לַמְּדֵֽנִי The freewill offerings of my mouth accept now, O Lord, and teach me Your judgments. 109 נַפְשִׁ֣י בְכַפִּ֣י תָמִ֑יד וְ֜תוֹרָֽתְךָ֗ לֹ֣א שָׁכָֽחְתִּי My soul is constantly in my hand, and I have not forgotten Your Torah. 110 נָֽתְנ֬וּ רְשָׁעִ֣ים פַּ֣ח לִ֑י וּ֜מִפִּקּוּדֶ֗יךָ לֹ֣א תָעִֽיתִי The wicked laid a snare for me, but I did not stray from Your precepts. 111 נָחַ֣לְתִּי עֵֽדְו‍ֹתֶ֣יךָ לְעוֹלָ֑ם כִּֽי־שְׂשׂ֖וֹן לִבִּ֣י הֵֽמָּה I inherited Your testimonies forever, for they are the joy of my heart. 112 נָטִ֣יתִי לִ֖בִּי לַֽעֲשׂ֥וֹת חֻקֶּ֗יךָ לְעוֹלָ֥ם עֵֽקֶב I have inclined my heart to perform Your statutes forever on their paths. 113 סֵֽעֲפִ֥ים שָׂנֵ֑אתִי וְֽתוֹרָֽתְךָ֥ אָהָֽבְתִּי I hate those who harbor iniquitous thoughts, but Your Torah I love. 114 סִתְרִ֣י וּמָֽגִנִּ֣י אָ֑תָּה לִ֜דְבָֽרְךָ֗ יִחָֽלְתִּי You are my protection and my shield; I hoped for Your word. 115 ס֣וּרוּ מִמֶּ֣נִּי מְרֵעִ֑ים וְ֜אֶצְּרָ֗ה מִצְו‍ֹ֥ת אֱלֹהָֽי Go away from me, you evildoers, and I shall keep the commandments of my God. 116 סָמְכֵ֣נִי כְאִמְרָֽתְךָ֣ וְאֶֽחְיֶ֑ה וְאַל־תְּ֜בִישֵׁ֗נִי מִשִּׂבְרִֽי Support me as Your word, and I shall live, and do not put me to shame because of my hope. 117 סְעָדֵ֥נִי וְאִוָּשֵׁ֑עָה וְאֶשְׁעָ֖ה בְחֻקֶּ֣יךָ תָמִֽיד Sustain me and I shall be saved, and I shall constantly engage in Your statutes. 118 סָלִיתָ כָּל־שֹׁגִ֣ים מֵֽחֻקֶּ֑יךָ כִּי־שֶׁ֜֗קֶר תַּרְמִיתָֽם You trampled all who stray from Your statutes, for their deceit is false. 119 סִגִ֗ים הִשְׁבַּ֥תָּ כָל־רִשְׁעֵי־אָ֑רֶץ לָ֜כֵ֗ן אָהַ֥בְתִּי עֵֽדֹתֶֽיךָ As dross, You cut off all the wicked of the earth; therefore I love Your testimonies. 120 סָמַ֣ר מִפַּחְדְּךָ֣ בְשָׂרִ֑י וּמִמִּשְׁפָּטֶ֥יךָ יָרֵֽאתִי My flesh bristles from fear of You, and I dread Your judgments..
121 עָשִׂיתִי מִשְׁפָּ֣ט וָצֶ֑דֶק בַּל־תַּ֜נִּיחֵ֗נִי לְעֹֽשְׁקָֽי I performed justice and righteousness; do not leave me to my oppressors. 122 עֲרֹ֣ב עַבְדְּךָ֣ לְט֑וֹב אַל־יַֽעַשְׁקֻ֥נִי זֵדִֽים Be surety for Your servant for good; let the willful sinners not oppress me. 123 עֵינַי כָּל֣וּ לִישֽׁוּעָתֶ֑ךָ וּלְאִמְרַ֥ת צִדְקֶֽךָ My eyes pined for Your salvation and for the word of Your righteousness. 124 עֲשֵׂ֖ה עִם־עַבְדְּךָ֥ כְחַסְדֶּ֗ךָ וְחֻקֶּ֥יךָ לַמְּדֵֽנִי Deal with Your servant according to Your kindness, and teach me Your statutes. 125 עַבְדְּךָ־אָ֖נִי הֲבִינֵ֑נִי וְ֜אֵֽדְעָ֗ה עֵֽדֹתֶֽיךָ I am Your servant; enable me to understand, and I shall know Your testimonies. 126 עֵת לַֽעֲשׂ֣וֹת לַֽיהֹוָ֑ה הֵ֜פֵ֗רוּ תּֽוֹרָתֶֽךָ A time to do for the Lord; they have made void Your Torah. 127 עַל־כֵּ֖ן אָהַ֣בְתִּי מִצְו‍ֹתֶ֑יךָ מִזָּהָ֥ב וּמִפָּֽז Because I loved Your commandments more than gold, even more than fine gold. 128 עַל־כֵּ֚ן | כָּל־פִּקּ֣וּדֵי כֹ֣ל יִשָּׁ֑רְתִּי כָּל־אֹ֖רַח שֶׁ֣קֶר שָׂנֵֽאתִי Because I considered all precepts of all things upright; [and] every false way I hated. 129 פְּלָא֥וֹת עֵֽדְו‍ֹתֶ֑יךָ עַל־כֵּ֜֗ן נְצָ֘רָ֥תַם נַפְשִֽׁי Your testimonies are hidden; therefore, my soul kept them. 130 פֵּ֖תַח דְּבָרֶ֥יךָ יָאִ֗יר מֵבִ֥ין פְּתָיִֽים The commencement of Your words enlightens; You make the simple understand. 131 פִּ֣י פָ֖עַרְתִּי וָאֶשְׁאָ֑פָה כִּ֖י לְמִצְו‍ֹתֶ֣יךָ יָאָֽבְתִּי I opened my mouth and panted because I yearned for Your commandments. 132 פְּנֵה־אֵלַ֥י וְחָנֵּ֑נִי כְּ֜מִשְׁפָּ֗ט לְאֹֽהֲבֵ֥י שְׁמֶֽךָ Turn to me and favor me as is Your custom with those who love Your name. 133 פְּעָמַי הָכֵ֣ן בְּאִמְרָתֶ֑ךָ וְֽאַל־תַּשְׁלֶט־בִּ֥י כָל־אָֽוֶן Prepare my steps with Your word, and do not allow any iniquity to rule over me. 134 פְּדֵנִי מֵעֹ֣שֶׁק אָדָ֑ם וְ֜אֶשְׁמְרָ֗ה פִּקּוּדֶֽיךָ Redeem me from the oppression of man, and I shall keep Your precepts. 135 פָּנֶ֣יךָ הָ֖אֵר בְּעַבְדֶּ֑ךָ וְ֜לַמְּדֵ֗נִי אֶת־חֻקֶּֽיךָ Cause Your countenance to shine upon Your servant and teach me Your statutes. 136 פַּלְגֵי־מַ֖יִם יָרְד֣וּ עֵינָ֑י עַ֜֗ל לֹא־שָֽׁמְר֥וּ תֽוֹרָתֶֽךָ Rivulets of water ran down from my eyes because they did not keep Your Torah. 137 צַדִּ֣יק אַתָּ֣ה יְהֹוָ֑ה וְ֜יָשָׁ֗ר מִשְׁפָּטֶֽיךָ You are righteous, O Lord, and Your judgments are upright. 138 צִוִּיתָ צֶ֣דֶק עֵֽדֹתֶ֑יךָ וֶֽאֱמוּנָ֥ה מְאֹֽד You commanded Your testimonies, [which are] righteousness, and they are exceedingly faithful. 139 צִמְּתַ֥תְנִי קִנְאָתִ֑י כִּי־שָֽׁכְח֖וּ דְבָרֶ֣יךָ צָרָֽי My zeal incenses me, for my adversaries have forgotten Your words. 140 צְרוּפָ֖ה אִמְרָֽתְךָ֥ מְאֹ֑ד וְעַבְדְּךָ֥ אֲהֵבָֽהּ Your word is very pure, and Your servant loves it. 141 צָעִ֣יר אָֽנֹכִ֣י וְנִבְזֶ֑ה פִּ֜קֻּדֶ֗יךָ לֹ֣א שָׁכָֽחְתִּי I am young and despised; I have not forgotten Your precepts. 142 צִדְקָֽתְךָ צֶ֥דֶק לְעוֹלָ֑ם וְתוֹרָֽתְךָ֥ אֱמֶֽת Your righteousness is perpetual righteousness, and Your Torah is true. 143 צַר־וּמָצ֥וֹק מְצָא֑וּנִי מִ֜צְו‍ֹתֶ֗יךָ שַֽׁעֲשֻׁעָֽי Distress and anguish have overtaken me; Your commandments are my occupation. 144 צֶ֖דֶק עֵֽדְו‍ֹתֶ֥יךָ לְעוֹלָ֗ם הֲבִינֵ֥נִי וְאֶֽחְיֶֽה The righteousness of Your testimonies is eternal; enable me to understand and I shall live. 145 קָרָ֣אתִי בְכָל־לֵ֖ב עֲנֵ֥נִי יְהֹוָ֗ה חֻקֶּ֥יךָ אֶצֹּֽרָה I called with all my heart; answer me, O Lord; I shall keep Your statutes. 146 קְרָאתִ֥יךָ הֽוֹשִׁיעֵ֑נִי וְ֜אֶשְׁמְרָ֗ה עֵֽדֹתֶֽיךָ I called to You; save me and I shall keep Your testimonies. 147 קִדַּ֣מְתִּי בַ֖נֶּשֶׁף וָֽאֲשַׁוֵּ֑עָה לִדְבָֽרְךָ֥ (כתיב לִדְבָֽרְיךָ֥) יִחָֽלְתִּי I arose early, when it was still night, and I cried out; I hoped for Your word. 148 קִדְּמ֣וּ עֵ֖ינַי אַשְׁמֻר֑וֹת לָ֜שִׂ֗יחַ בְּאִמְרָתֶֽךָ My eyes preceded the watches to speak of Your word. 149 קוֹלִ֣י שִׁמְעָה כְּחַסְדֶּ֑ךָ יְ֜הֹוָ֗ה כְּמִשְׁפָּטֶ֥ךָ חַיֵּֽנִי Hearken to my voice according to Your kindness; O Lord, according to Your custom sustain me. 150 קָֽרְבוּ רֹֽדְפֵ֣י זִמָּ֑ה מִתּוֹרָֽתְךָ֥ רָחָֽקוּ Pursuers of lewdness have drawn near; from Your Torah they have distanced themselves. 151 קָר֣וֹב אַתָּ֣ה יְהֹוָ֑ה וְֽכָל־מִצְו‍ֹתֶ֥יךָ אֱמֶֽת You are near, O Lord, and all Your commandments are true. 152 קֶ֣דֶם יָ֖דַעְתִּי מֵעֵֽדֹתֶ֑יךָ כִּ֖י לְעוֹלָ֣ם יְסַדְתָּֽם From before, I knew from Your testimonies, for You established them to [the end of] the world. 153 רְאֵה־עָנְיִ֥י וְחַלְּצֵ֑נִי כִּֽי־ת֜וֹרָֽתְךָ֗ לֹ֣א שָׁכָֽחְתִּי See my affliction and release me, for I have not forgotten Your Torah. 154 רִיבָ֣ה רִ֖יבִֽי וּגְאָלֵ֑נִי לְאִמְרָֽתְךָ֥ חַיֵּֽנִי Plead my cause and redeem me; for Your word sustains me. 155 רָח֣וֹק מֵֽרְשָׁעִ֣ים יְשׁוּעָ֑ה כִּֽי־חֻ֜קֶּ֗יךָ לֹ֣א דָרָֽשׁוּ Salvation is far from the wicked, for they did not seek Your statutes. 156 רַֽחֲמֶ֖יךָ רַבִּ֥ים | יְהֹוָ֑ה כְּמִשְׁפָּטֶ֥יךָ חַיֵּֽנִי Your mercies, O Lord, are abundant; according to Your custom, sustain me. 157 רַבִּ֣ים רֹֽדְפַ֣י וְצָרָ֑י מֵ֜עֵֽדְו‍ֹתֶ֗יךָ לֹ֣א נָטִֽיתִי Many are my pursuers and my adversaries; from Your testimonies I did not turn away. 158 רָאִ֣יתִי בֹֽ֖גְדִים וָֽאֶתְקוֹטָ֑טָה אֲשֶׁ֥ר אִ֜מְרָֽתְךָ֗ לֹ֣א שָׁמָֽרוּ I saw traitors and I quarreled [with them] because they did not keep your word. 159 רְאֵה כִּי־פִקּוּדֶ֣יךָ אָהָ֑בְתִּי יְ֜הֹוָ֗ה כְּחַסְדְּךָ֥ חַיֵּֽנִי See that I love Your precepts, O Lord; according to Your kindness, sustain me. 160 רֹֽאשׁ־דְּבָֽרְךָ֥ אֱמֶ֑ת וּ֜לְעוֹלָ֗ם כָּל־מִשְׁפַּ֥ט צִדְקֶֽךָ The beginning of Your word is true, and each of Your righteous judgments is eternal. 161 שָׂרִים רְדָפ֣וּנִי חִנָּ֑ם וּ֜מִדְּבָֽרְךָ֗ (כתיב וּ֜מִדְּבָֽרְיךָ֗) פָּחַ֥ד לִבִּֽי Princes pursued me for nothing, but my heart feared Your word. 162 שָׂ֣שׂ אָ֖נֹכִי עַל־אִמְרָתֶ֑ךָ כְּ֜מוֹצֵ֗א שָׁלָ֥ל רָֽב I rejoice over Your word as one who finds great spoil. 163 שֶׁ֣קֶר שָׂ֖נֵאתִי וָֽאֲתַעֵ֑בָה תּוֹרָֽתְךָ֥ אָהָֽבְתִּי I hate falsehood, and I abominate [it], I love Your Torah. 164 שֶׁ֣בַע בַּ֖יּוֹם הִלַּלְתִּ֑יךָ עַ֜֗ל מִשְׁפְּטֵ֥י צִדְקֶֽךָ Seven times a day I praise You for Your righteous judgments. 165 שָׁל֣וֹם רָ֖ב לְאֹֽהֲבֵ֣י תֽוֹרָתֶ֑ךָ וְאֵ֖ין לָ֣מוֹ מִכְשֽׁוֹל There is abundant peace to those who love Your Torah, and they have no obstacle. 166 שִׂבַּ֣רְתִּי לִֽישׁוּעָֽתְךָ֣ יְהֹוָ֑ה וּמִצְו‍ֹתֶ֥יךָ עָשִֽׂיתִי I hoped for Your salvation, O Lord, and I performed Your commandments. 167 שָֽׁמְרָ֣ה נַ֖פְשִׁי עֵֽדֹתֶ֑יךָ וָאֹֽהֲבֵ֥ם מְאֹֽד My soul kept Your testimonies, and I love them exceedingly. 168 שָׁמַ֣רְתִּי פִ֖קּוּדֶיךָ וְעֵֽדֹתֶ֑יךָ כִּ֖י כָל־דְּרָכַ֣י נֶגְדֶּֽךָ I kept Your precepts and Your testimonies, for all my ways are before You. 169 תִּקְרַ֚ב רִנָּתִ֣י לְפָנֶ֣יךָ יְהֹוָ֑ה כִּדְבָֽרְךָ֥ הֲבִינֵֽנִי May my song of prayer draw near before You, O Lord; according to Your word, enable me to understand. 170 תָּב֣וֹא תְחִנָּתִ֣י לְפָנֶ֑יךָ כְּ֜אִמְרָֽתְךָ֗ הַצִּילֵֽנִי May my supplication come before You; according to Your word, save me. 171 תַּבַּ֣עְנָה שְׂפָתַ֣י תְּהִלָּ֑ה כִּ֖י תְלַמְּדֵ֣נִי חֻקֶּֽיךָ My lips will utter praise when You teach me Your statutes. 172 תַּֽעַן־לְשׁוֹנִ֥י אִמְרָתֶ֑ךָ כִּ֖י כָל־מִצְו‍ֹתֶ֣יךָ צֶּֽדֶק My tongue will proclaim Your word, for all Your commandments are righteous. 173 תְּֽהִי־יָֽדְךָ֥ לְעָזְרֵ֑נִי כִּ֖י פִקּוּדֶ֣יךָ בָחָֽרְתִּי May Your hand be [ready] to help me, for I have chosen Your precepts. 174 תָּאַ֣בְתִּי לִֽישׁוּעָֽתְךָ֣ יְהֹוָ֑ה וְ֜תוֹרָֽתְךָ֗ שַֽׁעֲשֻׁעָֽי I yearned for Your salvation, O Lord, and Your Torah is my occupation. 175 תְּֽחִי־נַ֖פְשִׁי וּֽתְהַֽלְלֶ֑ךָּ וּמִשְׁפָּטֶ֥ךָ יַעְזְּרֻֽנִי May my soul live and praise You, and may Your judgments help me. 176 תָּעִ֗יתִי כְּשֶׂ֣ה אֹ֖בֵד בַּקֵּ֣שׁ עַבְדֶּ֑ךָ כִּ֥י מִ֜צְו‍ֹתֶ֗יךָ לֹ֣א שָׁכָֽחְתִּי I went astray like a lost lamb; seek Your servant, for I did not forget Your commandments. The English version in the King James Bible can be seen at Psalms 119. Psalm 119 is one of several acrostic poems found in the Bible. Its 176 verses are divided into 22 stanzas, one for each of the 22 characters that make up the Hebrew alphabet. In the Hebrew text, each of the eight verses of each stanza begins with the same Hebrew letter. This feature was not maintained in the Septuagint, except that many manuscripts have placed at the beginning of each stanza the name of the corresponding Hebrew letter (for example, ʾalef the first stanza, the last is taw). Because of this structure, the Psalm 118/119 was one of the main occurrences of the Hebrew alphabet in the texts of the medieval and modern West. Each of the 22 sections of 8 verses is subheaded with the name of a letter in the Hebrew alphabet. These subheadings are spelled very differently amongst the various Bible text versions, even amongst the translations into different foreign languages. Their antiquated spellings shown in the Authorized King James Version of 1611 were written with influences of Latin and German medieval theological scholarship—forms which greatly differ from the standard modern-day renditions. Most printed editions also show the actual Hebrew letters along with these subheadings. This psalm is one of about a dozen alphabetic acrostic poems in the Bible. Its 176 verses are divided into twenty-two stanzas, one stanza for each letter of the Hebrew alphabet; within each stanza, each of the eight verses begins (in Hebrew) with that letter. The name of God (Yahweh/Jehovah) appears twenty-four times. Employed in almost (but not quite) every verse of the psalm is a synonym for the Torah, such as dabar ("word, promise"), mishpatim ("rulings"), etc. 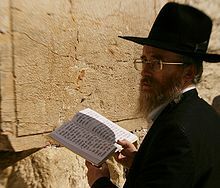 The acrostic form and the use of the Torah words constitute the framework for an elaborate prayer. The grounds for the prayer are established in the first two stanzas (alef and beth): the Torah is held up as a source of blessing and right conduct, and the psalmist pledges to dedicate himself to the law. The prayer proper begins in the third stanza (gimel, v. 17). Like many other psalms, this prayer includes dramatic lament (e.g. verses 81–88), joyous praise (e.g. verses 45–48) and prayers for life, deliverance and vindication (e.g. verses 132–34). What makes Psalm 119 unique is the way that these requests are continually and explicitly grounded in the gift of the Torah and the psalmist's loyalty to it. The first and fifth verses in a stanza often state the same theme followed by a statement of opposition, affliction or conflict, and the final (eighth) verse tends to be a transition introducing the next stanza. Several dozen prayers are incorporated into the Psalm, e.g. "Open my eyes that I may behold wondrous things out of your law." Themes include opposition by man, affliction, delight in the law and the goodness of God, which sometimes run into each other: "I know, O Lord, that your rules are righteous, and that in faithfulness you have afflicted me" (v. 75), or "If your law had not been my delight, I would have perished in my affliction" (v. 92). The Psalmist at times seems to appeal to God's sovereignty, "inclining his heart to the law" in contrast to the Psalmist saying "I incline my heart. "[clarification needed] Thus, God as sovereign is invoked in v.36 "Incline my heart to your testimonies", while the Psalmist also takes personal responsibility in v. 112, "I incline my heart to perform your statutes forever." It ends with an appeal to God to seek his servant who strayed. Verse 66 is recited prior to the shofar blowing on Rosh Hashanah. Verse 72 is quoted in Pirkei Avot, Chapter 6, no. 9. Verses 89–91 are recited during the blessings before the Shema on the second day of Rosh Hashanah. Verse 99 is quoted in Pirkei Avot, Chapter 4, no. 1. Verse 108 is recited prior to the shofar blowing on Rosh Hashanah. Verse 122 is recited prior to the shofar blowing on Rosh Hashanah. Verse 142 is part of Uva Letzion and Tzidkatcha. Parts of verses 153–54 comprise the blessing Re'eh of the weekday Amidah. Verse 160 is recited prior to the shofar blowing on Rosh Hashanah. Verse 162 is recited prior to the shofar blowing on Rosh Hashanah. Verse 165 is part of Talmud Berachos 64a. Verses 166, 162, and 165 are recited in that order by the mohel at a brit milah. The psalm (118 in the Septuagint) figures prominently in the worship of the Orthodox Church. There is a tradition that King David used this psalm to teach his young son Solomon the alphabet—but not just the alphabet for writing letters: the alphabet of the spiritual life. The psalm comprises an entire Kathisma (division of the Psalter) in Orthodox liturgical practice. In Orthodox monasteries it is read daily at the Midnight Office: "At midnight I arose to give thanks unto Thee for the judgments of Thy righteousness" (v. 62). It is read at Matins on Saturdays and is also chanted on many Sundays throughout the year. A major portion of Matins on Holy Saturday comprises chanting the entire psalm as a threnody, divided into three parts (stases) with Praises (Greek: Enkomia) interspersed between each verse. This chanting is done as all stand holding candles around a catafalque over which has been placed the Epitaphion (a shroud embroidered with the figure of Christ laid out for burial). The psalm is also chanted with special solemnity at Orthodox funeral services and on the various All-Souls Days occurring throughout the year, with "Alleluia" chanted between each verse. Its use here is a reflection of the chanting done on Holy Saturday. "Alleluia" is chanted between the verses to signify the victory over death accomplished by Christ's death and Resurrection, and the eternal reward promised to the faithful. The Psalm contains several dozen prayers and several themes run through it. God's goodness in the midst of affliction and delight in God's law. God is seen sovereignly "inclining ones heart" and the Psalmist "inclines his heart" to the statutes. The Rule of Saint Benedict assigned this psalm to four minor canonical hours on Sundays and three on Mondays. The sections corresponding to the first four letters of the 22-letter Hebrew alphabet are used at Prime, the following sets of three sections at Terce, Sext and None on Sundays. The remaining sections corresponding to the last nine letters of the Hebrew alphabet, are assigned to Terce, Sext and None on Mondays. The 1568 Roman Breviary of Pope Pius V has Psalm 119 recited in its entirety every day: the sections corresponding to the first four letters of the Hebrew alphabet at Prime, and the others in sets of six sections each at Terce, Sext and None respectively. In the 1910 reform of the Roman Breviary by Pope Pius X, Psalm 119 is recited only on Sundays, divided as in the arrangement of Pius V.
Since the reform of the Roman Rite liturgy in the wake of the Second Vatican Council, the Liturgy of the Hours has a section of Psalm 119, corresponding to a single letter of the Hebrew alphabet, in the midday canonical hour on each day of the four-week cycle except on Monday of the first week (when the second half of Psalm 19 (18), which is similar in theme, is used instead) and on Friday of the third week (when the Passion Psalm 22 (21) is used). In addition, a section of Psalm 119 is used at Saturday Lauds in weeks 1 and 3, and another section at Vespers of Saturday of week 1. In the Roman Rite Mass portions of Psalm 119 are used a responsorial psalm on Sundays 6 and 17 of Year A of the three-year cycle of Sunday readings, on Saturday of the first week in Lent and on the third Monday in Eastertide. It is also used on five days of Year I of the two-year cycle of Ordinary Time weekday readings[a] and fifteen days of Year II. [b] A portion is also used on the feast of a Doctor of the Church. Psalm 119:1 was set to music by Charles Villiers Stanford. Psalm 119:18 inspired the hymn Open My Eyes, That I May See by Clara H. Scott. Psalm 119:25–32 was set to music by z6. Psalm 119:33–38 was set to music by William Byrd as Teach Me, O Lord. Psalm 119:41–48 was set to music by Fast Eddie. Psalm 119:57–64 was set to music by Robert White (composer) as Portio mea Domine. Psalm 119:65–72 was set to music by z6. Psalm 119:89 is a popular Nigerian praise song. Psalm 119:105 was set to music by Amy Grant. Psalm 119:105–12 was set to music by Chief Cornerstone. Psalm 119:153–60 was set to music by Fast Eddie. Psalm 119:1–176 was completed in 1671 by Heinrich Schütz. Czech composer Antonín Dvořák set verses 114, 117, 119 and 120 to music in his Biblical Songs (1894). A complete English version of Psalm 119 from the King James Bible was completed by Frederick Steinruck, Michael Misiaszek, and Michael Owens. The Psalm is put to music in The Book of Psalms for Worship, published by Crown and Covenant Publications. ^ Wednesday and Friday of week 7, Tuesday of week 10, Thursday of week 32, Monday of week 33. ^ Saturday of week 4, Monday of week 6, Friday of week 9, Wednesday of week 12, Friday of week 13, Monday of week 18, Tuesday of week 19, Monday of week 22, Tuesday and Wednesday of week 25, Saturday of week 26, Tuesday of week 28, Friday of week 29, Friday of week 32, Friday of week 33. ^ "Chapter 119". Tehillim – Psalms. Chabad. 2018. Retrieved July 31, 2018. ^ Harl, Marguerite (1972), La Chaîne palestinienne sur le Psaume 118, introduction, texte grec critique et traduction (in French), 1, Paris: Cerf, p. 106 . ^ Schwarzfuchs, Lyse (2004), Le livre hébreu à Paris au XVIe siècle : inventaire chronologique (in French), Paris: Bibliothèque nationale de France . ^ a b Murphy, Roland E. (2000). The Gift of the Psalms. Hendrickson. ISBN 1-56563-474-8. ^ a b c d e The Complete Artscroll Machzor for Rosh Hashanah, p. 435 . ^ The Complete Artscroll Machzor for Rosh Hashanah, p. 269 . ^ The Complete Artscroll Siddur, p. 565 . ^ The Complete Artscroll Siddur, p. 157 . ^ The Complete Artscroll Siddur, p. 525 . ^ The Complete Artscroll Siddur, p. 102 . ^ The Complete Artscroll Siddur, p. 479 . ^ The Complete Artscroll Siddur, p. 209 . ^ "Pre-Pius X Psalter (up to 1911)". Gregorian books. ^ a b "Arrangement of the Psalms". Gregorian books. ^ "Pius X Psalter (1911-1971)". Gregorian books. ^ Ordo Lectionum Missae (PDF) (in Latin), Libreria Editrice Vaticana, 1981 . ^ Donovan, Richard Niell (2007). "Hymn Story: Open My Eyes". Lectionary. ^ "The Book of Psalms for Worship, Psalter, Book of Psalms". Crown and covenant. Scott N. Callaham: "An Evaluation of Psalm 119 as Constrained Writing," Hebrew Studies 50 (2009): 121–35. Wikimedia Commons has media related to Psalm 119. Psalms Chapter 119 text in Hebrew and English, Mechon-mamre. Blessed those whose way is blameless, who walk by the law of the Lord text and footnotes, Unites States Conference of Catholic Bishops. Psalm 119:1 introduction and text, Bible study tools. Psalm 119 – The Greatness and Glory of God's Word, Enduring word. Hymns for Psalm 119, Hymnary. "Psalm 119", New Skete Psalter translation, O great mystery, archived from the original on 2007-03-13 . "Psalm 118 (LXX numbering)", Holy Transfiguration Monastery Psalter translation, POMOG, archived from the original on 2005-12-16 . Bridges, Charles (1827), Exposition of Psalm 119, Grace gems . Full text, public school. The Golden Alphabet: Exposition of Psalm 119, Charles Spurgeon, 1887. Full text, public domain. Psalm 119 CD and sheet music, Susie Kimbrough.